Ohhhh - Here It IS.... a reason to celebrate, to whip out some Root Beer, Vanilla Ice-Cream and create a vintage drink that is sure to sweeten your day! 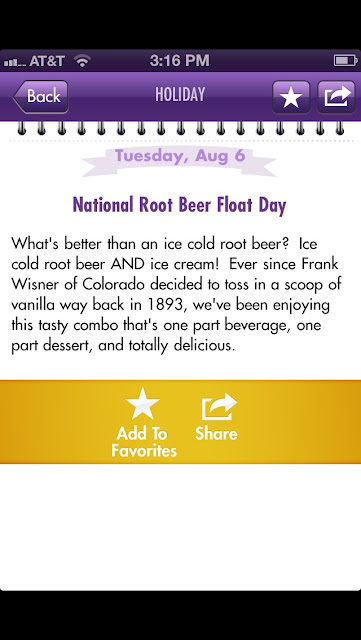 Happy National Root Beer Float Day!! Having fun creating this with my 7 year old daughter, it reminds me of my Daddy (as he looks down on us, I'm sure he is smiling). He introduced me to Root Beer Floats as a child and I STILL Love them (and love any opportunity to share them with my hubby and kids!!). So HAPPY National Root Beer Float Day!! It is an actual holiday and what a great way to celebrate! So Go For IT... 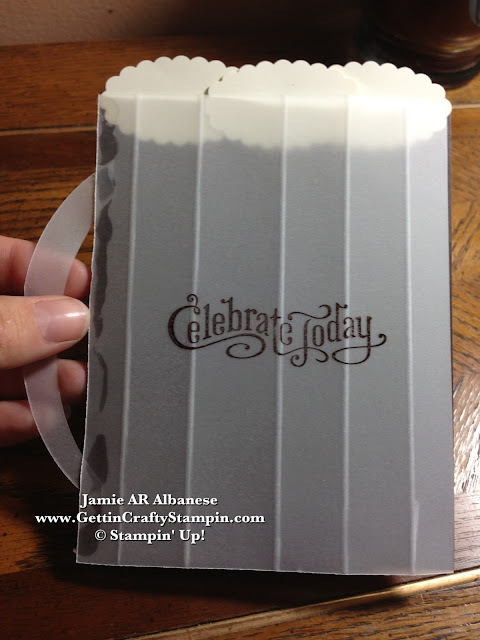 Whip out a Root Beer Float and Create a Card to Celebrate this Holiday!! 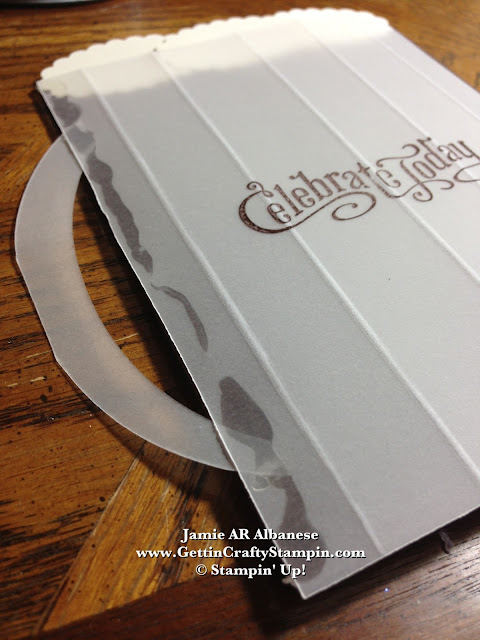 Having Cut the Vellum Card Stock (#101856) Score it with our Simply Scored Scoring Tool/Board (#122334) and the Simply Scored Stylus (#125624). 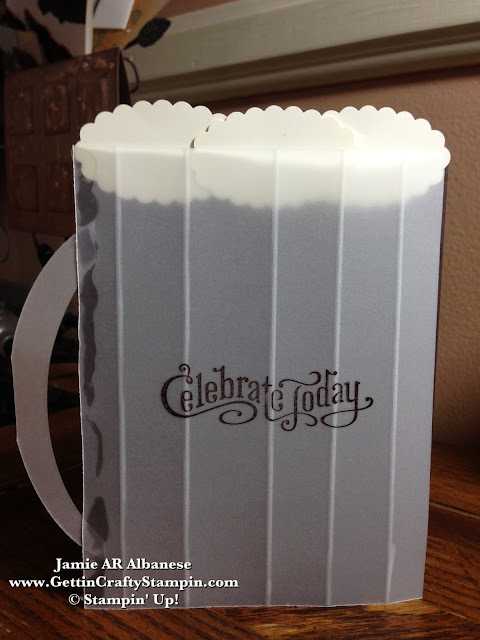 This gives the look of a Frosted mug - much like the ones I grew up with and my dad used for this tasty treat! 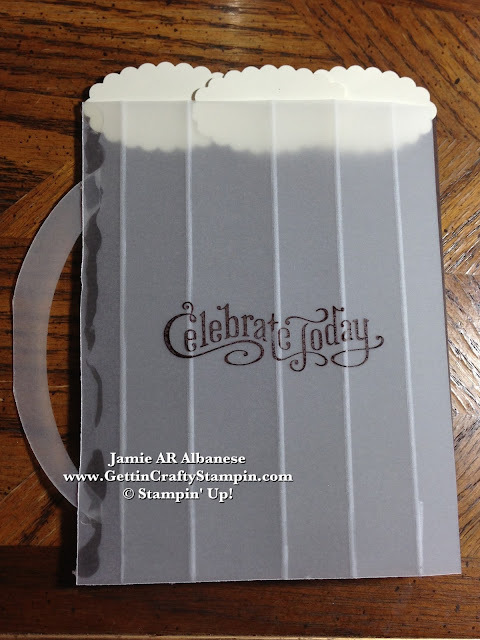 Stamping Celebrate Today from the Perfectly Penned (#122892) stamp set for a vintage vibe... the Chocolate Chip ink (#126979) shows so well on this 'frosted mug' while the Chocolate Chip card stock (#102128) resembles a mug full of tasty root beer. Creating a handle with our Ovals Collection Framelits (#129381), Big Shot Die-Cutting Machine (#113439)* and Big Shot Magnetic Platform (#130658)* create the perfect frosted mug handle! *CLICK HERE to see HOW to get these or anything else you may desire in the Catalogs for FREE or even 1/2 Off!! 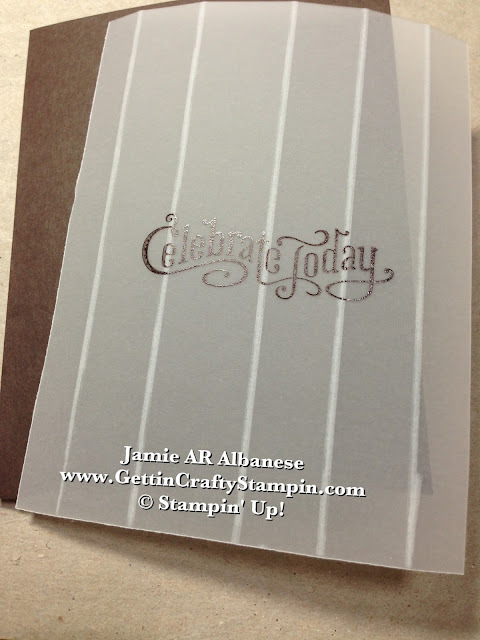 Add that "Ice-Cream" and FROTH it with our Very Vanilla card stock (#101650) and the Scallop Oval Punch (#119856). 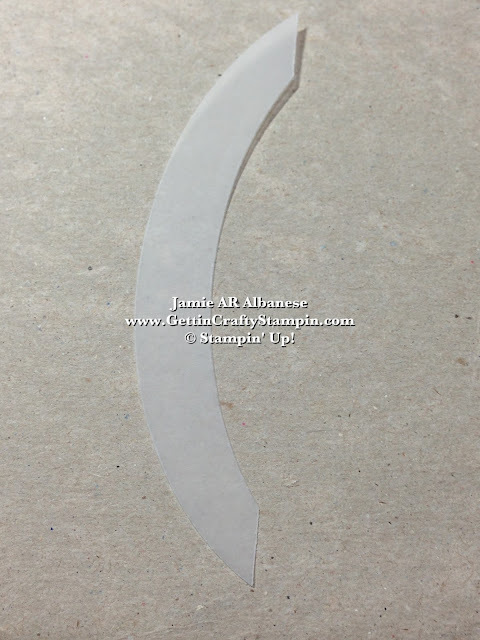 Hot Glue Gun to the RESCUE!! Glue the Handle to the side and then cover with the one side hot glued down... this allows the frosted mug to curve and remind me of the condensation of the cold mug. Like a Vintage Soda Pop Shop... this sweet card is vintage in theme and brings back such great memories (with out any of the calories!). My baby girl created this with me in honor of this Sweet National Root Beer Float Day holiday! How do YOU Celebrate life? 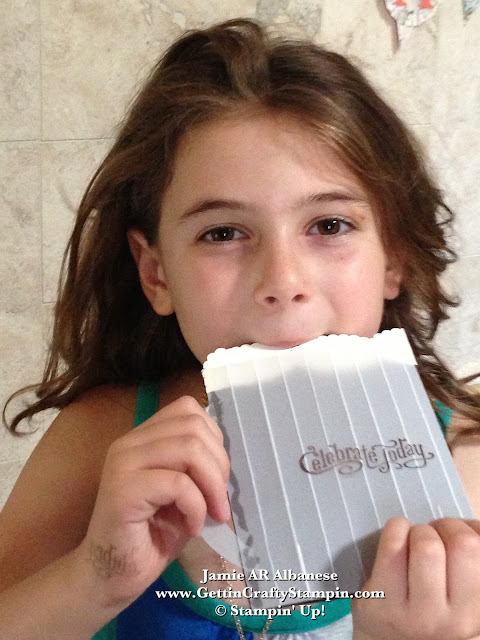 Make memories for your family? This is a great excuse to do just that! I hope that your day bubbles over with FUN! Go for it.... go grab a 2 liter of Root Beer, some delicious French Vanilla Ice Cream and Mix It UP! Create Sweet Memories, Remember Sweet Times (I miss those moments with my Dad, I'm sure he's looking down on me with a frosty mug in his hand.). What is your favorite memory? Any Root-Beer-Floats in them?!?! Leave me a Comment and let me know!! Share and Celebrate this Holiday! Pin this, Email, Facebook, Tweet, Google+, and remember to Join Me with Following Me on these channels and on YouTube, The Vine, etc... it's more fun in life when you walk it with friends!! 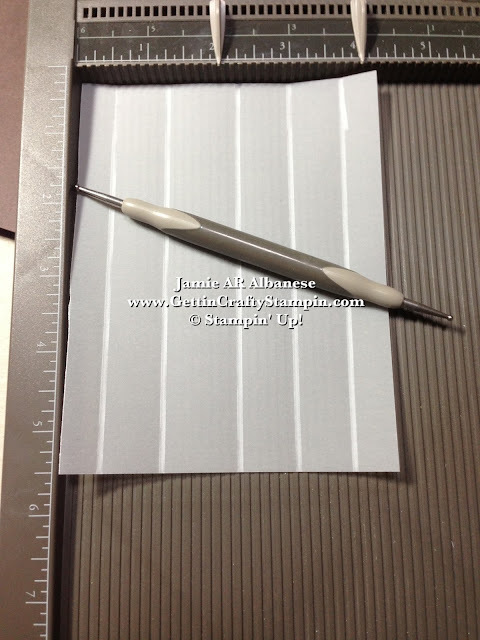 CLICK HERE to see our amazing line of Stamps, Papers, Inks, Tools and more!! I look forward to a visit from you again. Remember that I post daily, so come and check me out and often.